At Navigate Wealth Financial Advisors Sydney, we take a unique approach to investing and advisory, one that is based on your goals and a wide range of investment options. We believe in delivering peace of mind through a mentoring process, one that gives you access to insight that until recently was only available to the very wealthy and one that does not need a degree in economics to understand. At Navigate Wealth, we aim to firstly earn your trust and respect by displaying our very highest standards of honesty and professional ethics. Upon this foundation we are committed to providing strategic advice that reflects both broad experience and strong educational knowledge and standards. We have developed this unique approach over many years of advising clients. 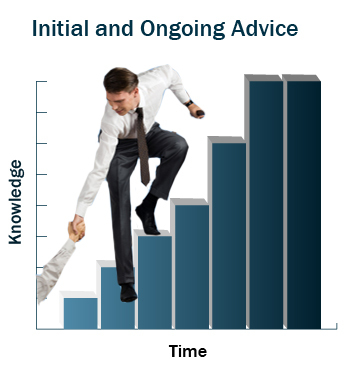 Step by step and easy to follow; it is this approach and the benefits it brings to our clients, that has made Navigate Wealth a leading advisory practice. To learn more about Navigate Wealth financial planners sydney and experience our service, book a complimentary, obligation fee consultation today.